Mundesley Junior School volunteered their Year 2 and Year 6 classes to take part in our Evaluation Project in the Autumn term of 2017. The Evaluation Project consisted of a 10-week commitment to using the Rapid Recall Whiteboards for one hour per week, in return for a class set of the boards completely free. Teachers could decide how to make up the hour a week spent with the boards, and the students just had to complete a pre and post-test. This helped both the schools and Propeller measure the impact of the boards. The pre-tests consisted of a mix of arithmetic and reasoning questions targeted to the relevant year group, similar in style to those that students would find on the end of year SATs papers. At first glance, Mel could see that there were topics the students hadn’t covered yet but she was confident that they would do reasonably well. The results were described by Mel, however, as a ‘reality check’. In Year 2, students even left 38% of the questions completely blank, showing a lack of confidence to tackle unknown questions. Determined to see an improvement, Mel and the teachers at Mundesley used the boards in Years 2 and 6 for 3-4 roughly 15-minute sessions each week. The two-year groups took different approaches to using the boards. In Year 2, the children mostly worked on the boards in pairs. This encouraged them to use maths talk and reason with each other to come to a ‘final’ answer. In Year 6, students would run sessions on the areas of the board that they were most confident with. After some prep time, students would teach their peer in small groups, and this became something they really enjoyed. The children, said Mel, felt empowered, confident and valued during these sessions. Their reasoning, problem-solving, respect and teamwork skills all improved from these activities, too. The boards quickly became a hit with all the students. In Year 2, the teacher started complaining that the children were pestering her to get them out all the time! After 10-weeks, the Year 2 and Year 6 students sat the project post-tests. The post-test, although featuring new questions, covered the same National Number Curriculum objectives and style as the pre-test. Mel and her teachers were apprehensive about the results of the post-tests, but were pleasantly surprised by the outcomes. 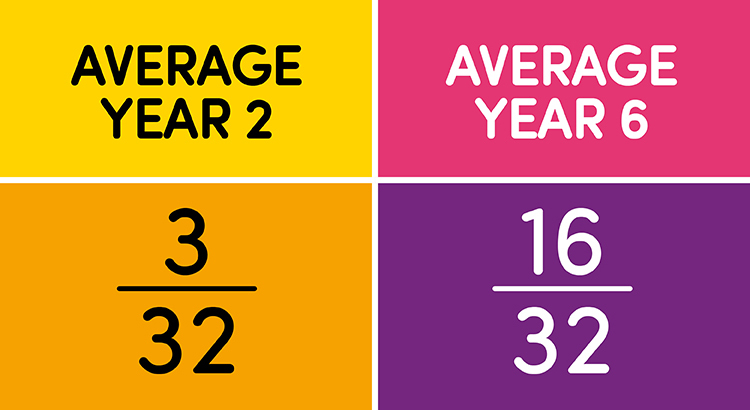 The 38% of unanswered questions by Year 2s even decreased by an impressive 30%. Only 8% of questions left unanswered during the post-test thanks to the increased confidence that using the boards gave them. 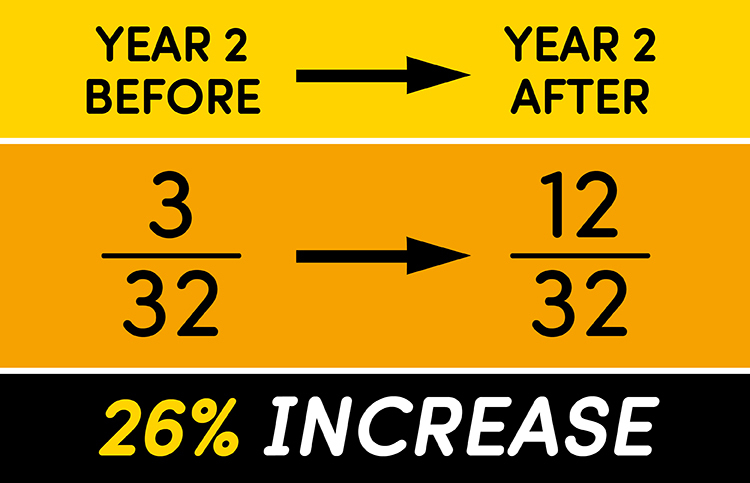 The numbers show raised attainment, progress, and confidence. They wouldn’t have happened, however, without the teaching staff focussing on their teaching and their students’ learning. Direct teaching became much more focused, as did the interventions and in-class support. With a clearer understanding of the strengths and weaknesses of the children, even teachers’ levels of confidence improved. The teachers knew that they could teach what the children needed rather than what was ‘planned’.